Calling all artists! Share your views! Each month we will be selecting several well-written examples which will be published on our blog. The writer of the best review will receive a £25 Jackson’s gift voucher plus a photograph of them in their studio (if they wish) and a link to their website will appear alongside their review both on the blog and in our next newsletter. We’ve given Sarah a £25 gift voucher to say thanks for writing such a useful review. 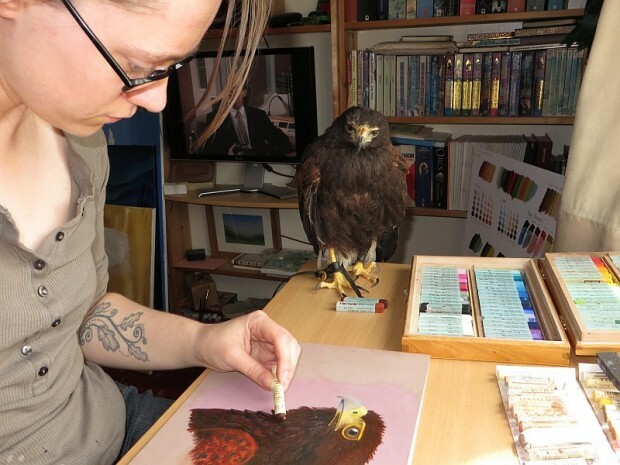 Image a the top is of Sarah Yeomans working in her studio with her buddy. 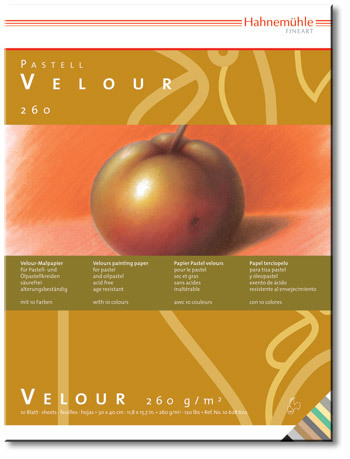 Click on the underlined link to go to the Hahnemuhle Velour Paper for pastels on the Jackson’s Art Supplies website.